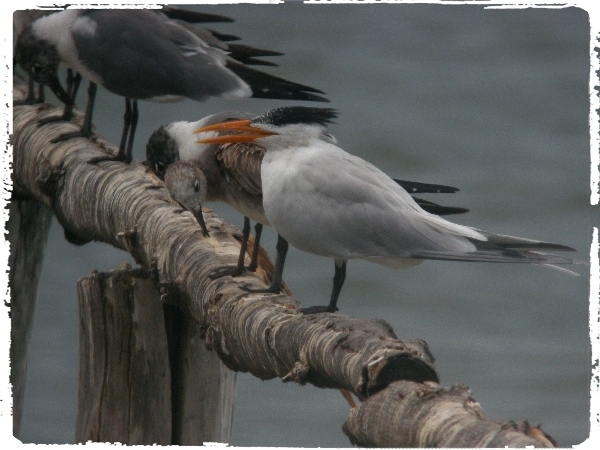 Ensenada is a unique place it combines three seemingly paradoxical roles, it is a Wildlife Refuge, a working Farm and a private hotel with 22 cabins spaced in well-manicured gardens that have commanding views over Nicoya Bay and yet it appears to work well as the bird list alone is extremely impressive. 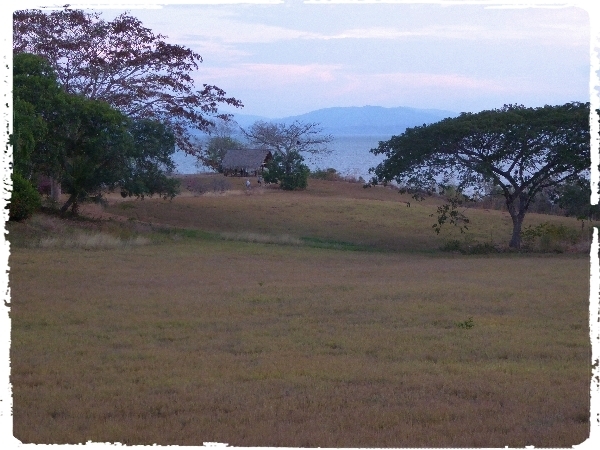 We met up at 6am, the weather was wonderful, a clear blue sky, no wind and lovely light, a quick look out into the Nicoya Bay from the gardens produced a number of sightings, Magnificent Frigatebirds were ever present, drifting high up on the thermals, you hardly ever see them flap their wings! Brown Pelicans likewise, we also saw large numbers of Laughing and Franklin's Gulls, Royal Terns and a few Ruddy Turnstones. 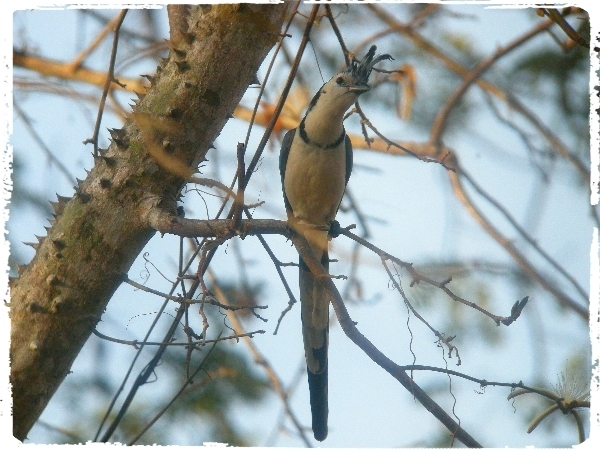 We then walked through the hotel compound where White-throated Magpie-Jays abound, Yellow-naped, Orange-chinned and White-fronted Parrots scream overhead from the canopy of the fruiting trees. 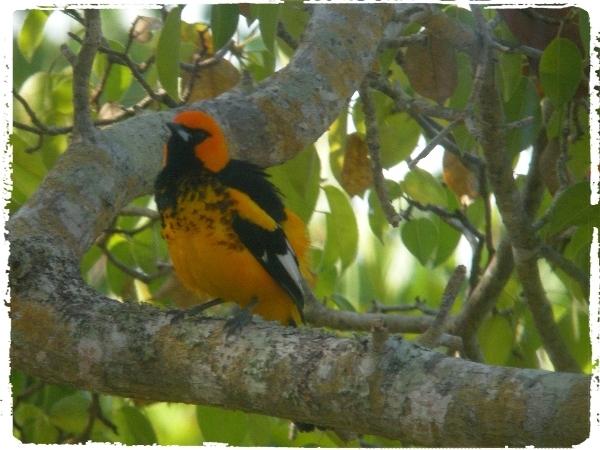 We saw our first Spot-breasted and Streak-backed Orioles as well as the more common Baltimore Orioles. A little further down the track we watched numerous Groove-billed Anis in the meadow and a small party of Crested Bobwhites. 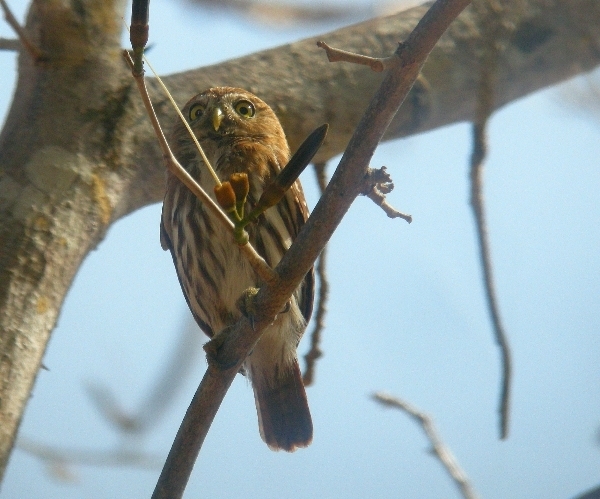 A pair of Ferruginous Pygmy-Owls proved to be a popular find together with Turquoise-browed Motmot, we also noted Great-crested and Brown-crested Flycatchers, a couple of Hummers, Cinnamon Hummingbird and Plain-capped Starthroat as well as a new species for us, Scaly-breasted Hummingbird. White-lored Gnatcatcher also made it onto the list, these tiny birds thought it was a good idea to ‘mob’ the Pygmy Owl! 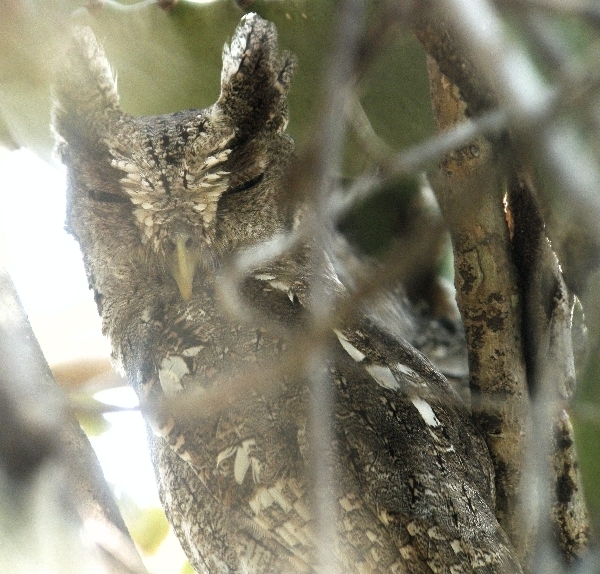 After breakfast we strolled around the garden area walking down towards the shoreline of the bay, in a small copse Johan found, not one, but two Pacific Screech Owls, they were incredibly hard to locate and he worked hard to get all of the group to see them with the naked eye. We searched several areas for the elusive Lesser Ground-Cuckoo without success. 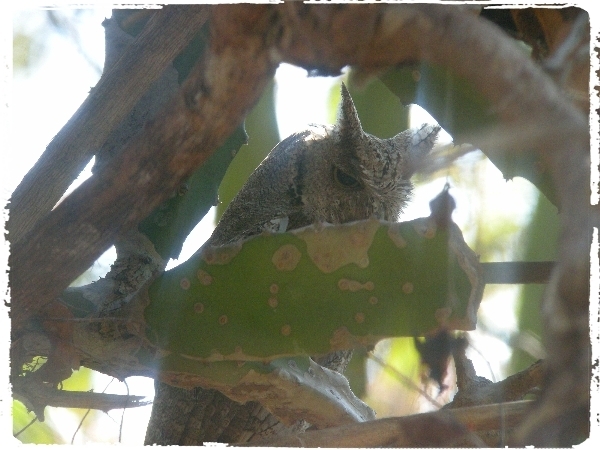 Pacific Screech-Owl was our 9th owl of the trip!! 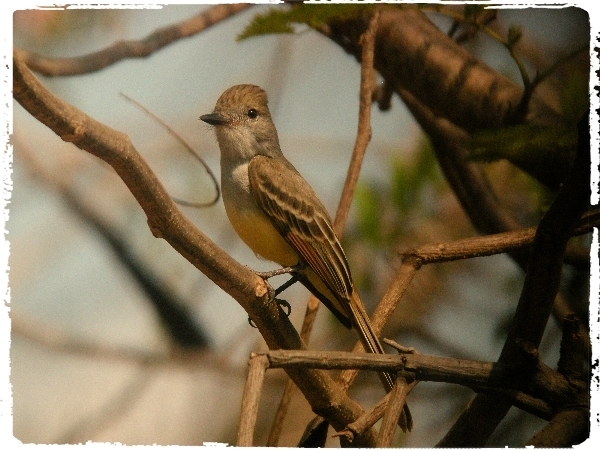 We then decided to walk towards the local ‘salinas’ (salt-pans) and along the lane we added Nutting’s Flycatcher to our, this completed our sightings collection of the ‘Myiodynastes’ Flycatchers. The salt pans held a good selection of waders of all shapes and sizes ranging from the large Willet to the tiny ‘peeps’, we spent an hour sifting through them and making some interesting discoveries. Johan talked us through the subtle differences of the Semi-palmated, Wilson’s and Collared Plovers, whilst Stilt Sandpipers and Short-billed Dowitchers required the same attention to detail as did Greater and Lesser Yellowlegs. To separate Semi-palmated and Western Sandpipers took a little more skill, it was fun doing this but the heat of the day soon took its toll, by 11am we were on our way back to the lodge. We reconvened at 2:30pm it was still hot but the light wasn’t so harsh, some of group strolled down to the jetty at the bottom of the gardens to look at a congregations of roosting birds. 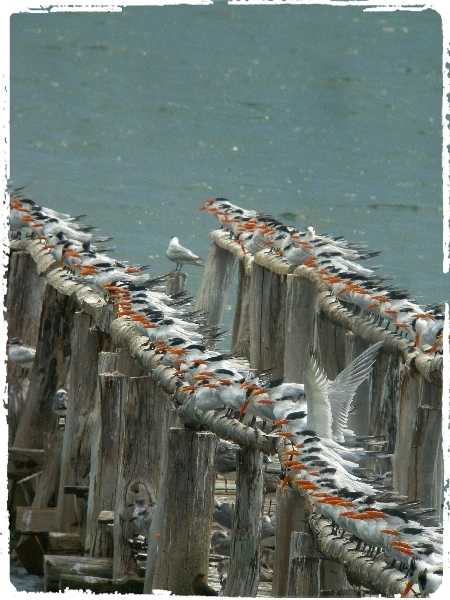 It was now high tide, hundreds of terns, gulls and waders were using the jetty as a high-tide roost. 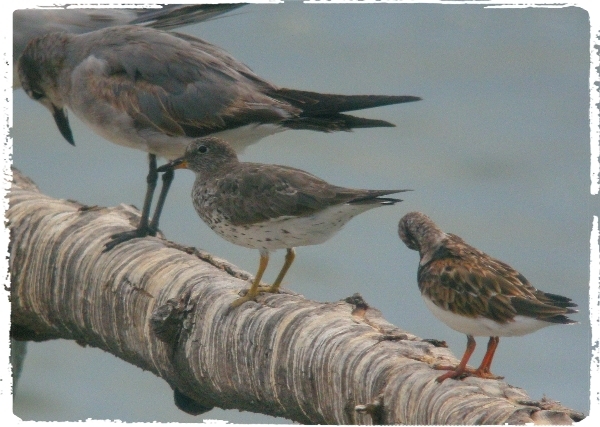 It was an amazing sight, to see hundreds of Royal Terns lining the jetty’s handrails, Laughing and Franklin’s Gulls joined them as did Brown Pelican, the odd Elegant and Sandwich Tern, Willet, Ruddy Turnstone and to our great delight there were three Surfbirds with them. A second visit to the salt-pans did not produce any new sightings but because of the high-tide many more waders were present. It was enjoyable sifting through the hundreds of waders but only for a few of us. 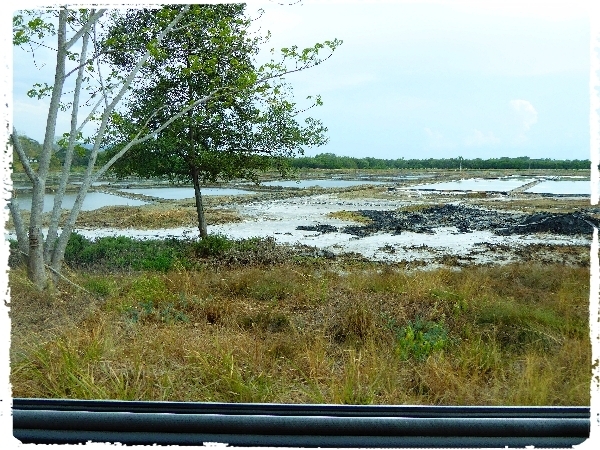 So we concentrated on the mangroves and the open scrub which are found a little further along the track where a freshwater laguna was also to be found. Ground Doves were very common as were flycatchers, we also saw Yellow-throated Vireo and Scrub Euphonia but there was no sign of the Ground-Cuckoo. At the lake we had good close views of Western. 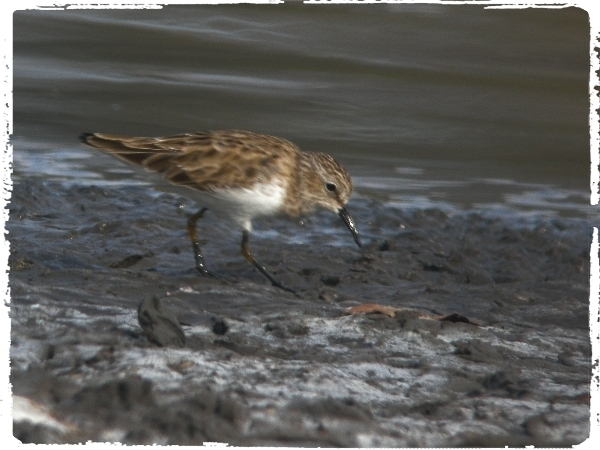 Semi-palmated and Least Sandpipers as well as Northern Waterthrush and several heron species. We returned to the lodge at 4pm it was getting cooler and a nice breeze had struck up. We noted Orange-chinned, White-fronted Parrots and a another pair of Ferruginous Pygmy Owls. However, once out in the scrub away from the lodge birding was quite tough. Johan found a couple of hummers and managed to show all of us the Canivet’s Emerald. We also saw Masked Tityra, Ruby-throated Hummingbird and yet more flycatchers. 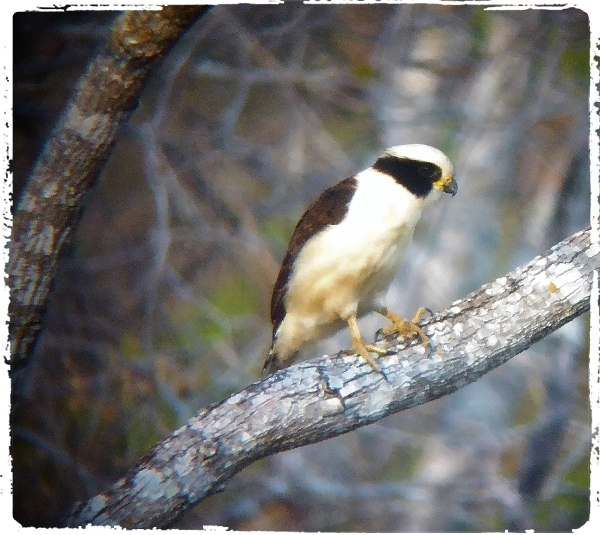 A Laughing Falcon was found by one of the group, we all enjoyed scope-views of this attractive-looking bird of prey, a Grey Hawk sat high up too. 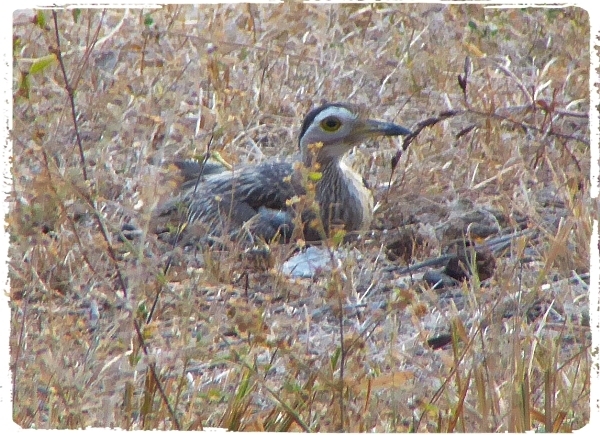 Along the way back and to our great delight we found a Double-striped Thick-Knee, a second bird appeared to be sitting on eggs so we kept our distance and stayed on the bus. Well that concluded our last day’s birding, we have a couple of hours free in the morning before we set off for the airport so our very last birding excursion will be made then. Dinner was a joyous affair, presentations and speeches galore! Both Damian our driver and Johan our guide received great praise from the group who generously made a collection for them. Johan has been outstanding as a guide, his knowledge of bird calls is second to none, he has an uncanny skill at finding birds even in the most difficult of habitats, the rain forest! Damain got quite emotional when Lynn presented him with a pair of binnouclars, a dream come true for him, he has been a great asset to the tour not only with his skillful driving but his great character has kept everyone smiling and his enthusiasm to find birds for us was unrelenting, remember he found the Painted Bunting.